Any Sherlock Holmes fan (myself included) knows that address well. I actually visited there a couple years ago. Yes, that's a real address, and it's been converted into a fairly cheesy Sherlock museum and tourist trap. 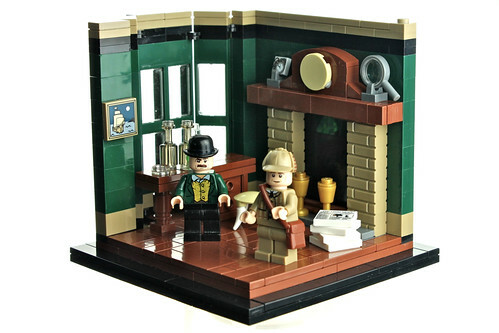 There's nothing cheesy about this MOC though, it's top notch work by Paul Vermeesch.